LEAs which have their ability to apply their powers restricted in some way are said to operate within a jurisdiction. LEAs will have some form of geographic restriction on their ability to apply their powers. The LEA might be able to apply its powers within a country, for example the United States of America's Bureau of Alcohol, Tobacco, Firearms and Explosives or its Drug Enforcement Administration, within a division of a country, for example the Australian state Queensland Police, or across a collection of countries, for example international organizations such as Interpol, or the European Union's Europol. 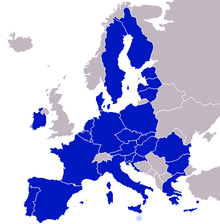 LEAs which operate across a collection of countries tend to assist in law enforcement activities, rather than directly enforcing laws, by facilitating the sharing of information necessary for law enforcement between LEAs within those countries, for example Europol has no executive powers. Sometimes a LEA’s jurisdiction is determined by the complexity or seriousness of the non compliance with a law. Some countries determine the jurisdiction in these circumstances by means of policy and resource allocation between agencies, for example in Australia, the Australian Federal Police take on complex serious matters referred to it by an agency and the agency will undertake its own investigations of less serious or complex matters by consensus, while other countries have laws which decide the jurisdiction, for example in the United States of America some matters are required by law to be referred to other agencies if they are of a certain level of seriousness or complexity, for example cross state boundary kidnapping in the United States is escalated to the Federal Bureau of Investigation. Differentiation of jurisdiction based on the seriousness and complexity of the non compliance either by law or by policy and consensus can coexist in countries. A LEA which has a wide range of powers but whose ability is restricted geographically, typically to an area which is only part of a country, is typically referred to as local police or territorial police. Other LEAs have a jurisdiction defined by the type of laws they enforce or assist in enforcing. For example, Interpol does not work with political, military, religious, or racial matters. A LEA’s jurisdiction usually also includes the governing bodies they support, and the LEA itself. Jurisdictionally, there can be an important difference between international LEAs and multinational LEAs, even though both are often referred to as "international", even in official documents. An international law enforcement agency has jurisdiction and or operates in multiple countries and across State borders, for example Interpol. A multinational law enforcement agency will typically operate in only one country, or one division of a country, but is made up of personnel from several countries, for example the European Union Police Mission in Bosnia and Herzegovina. international LEAs are typically also multinational, for example Interpol, but multinational LEAs are not typically international. Within a country, the jurisdiction of law enforcement agencies can be organized and structured in a number of ways to provide law enforcement throughout the country. A law enforcement agency’s jurisdiction can be for the whole country or for a division or sub-division within the country. LEA jurisdiction for a division within a country can typically be at more than one level, for example at the division level, that is state, province, or territory level, and for example at the sub division level, that is county, shire, or municipality or metropolitan area level. In Australia for example, each state has its own LEAs. In the United States for example, typically each state and county or city has its own LEAs. As a result, because both Australia and the United States are federations and have federal LEAs, Australia has two levels of law enforcement and the United States has multiple levels of law enforcement, Federal, Tribal, State, County, City, Town, Village, special Jurisdiction and others. Often a LEA’s jurisdiction will be geographically divided into operations areas for administrative and logistical efficiency reasons. An operations area is often called a command or an office. While the operations area of a LEA is sometimes referred to as a jurisdiction, any LEA operations area usually still has legal jurisdiction in all geographic areas the LEA operates, but by policy and consensus the operations area does not normally operate in other geographical operations areas of the LEA. For example, the United Kingdom’s Metropolitan Police is divided into 32 Borough Operational Command Units, based on the London boroughs, and the New York City Police Department is divided into 77 precincts. Sometimes the one legal jurisdiction is covered by more than one LEA, again for administrative and logistical efficiency reasons, or arising from policy, or historical reasons. 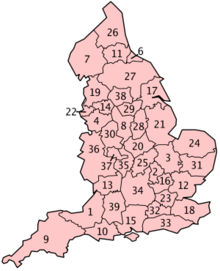 For example, the area of jurisdiction of English and Welsh law is covered by a number of LEAs called constabularies, each of which has legal jurisdiction over the whole area covered by English and Welsh law, but they do not normally operate out of their areas without formal liaison between them. The primary difference between separate agencies and operational areas within the one legal jurisdiction is the degree of flexibility to move resources between versus within agencies. When multiple LEAs cover the one legal jurisdiction, each agency still typically organizes itself into operations areas. In the United States within a state's legal jurisdiction, county and city police agencies do not have full legal jurisdictional flexibility throughout the state, and this has led in part to mergers of adjacent police agencies. When a LEA’s jurisdiction is for the whole country, it is usually one of two broad types, either federal or national. When the country has a federal constitution, a whole-of-country LEA is referred to as a federal law enforcement agency. The responsibilities of a federal LEA vary from country to country. Federal LEA responsibilities are typically countering fraud against the federation, immigration and border control regarding people and goods, investigating currency counterfeiting, policing of airports and protection of designated national infrastructure, national security, and the protection of the country’s head of state and of other designated very important persons, for example the Protective Service of the Australian Federal Police, or the Protective Mission of the United States Secret Service; and the U.S. State Department's Diplomatic Security Service (DSS). A federal police agency is a federal LEA which also has the typical police responsibilities of social order and public safety as well as federal law enforcement responsibilities. However, a federal police agency will not usually exercise its powers at a divisional level. Such exercising of powers is typically via specific arrangements between the federal and divisional governing bodies. Examples of federal law enforcement agencies are the Australian Federal Police (Australia), Federal Police of Brazil (Brazil), Central Bureau of Investigation (India), Federal Bureau of Investigation, Federal Protective Service, United States Park Police (United States), Royal Canadian Mounted Police (Canada), and the State Security Service (Nigeria). In a federation, there will typically be separate LEAs with jurisdictions for each division within the federation. A federal LEA will have primary responsibility for laws which affect the federation as whole, and which have been enacted by the governing body of the federation. Members of a federal LEA may be given jurisdiction within a division of a federation for laws enacted by the governing bodies of the divisions either by the relevant division within the federation, or by the federation's governing body. For example, the Australian Federal Police is a federal agency and has the legal power to enforce the laws enacted by any Australian state, but will generally only enforce state law if there is a federal aspect to investigate. Typically federal LEAs have relatively narrow police responsibilities, the individual divisions within the federation usually establish their own police agencies to enforce laws within the division. However, in some countries federal agencies have jurisdiction in divisions of the federation. This typically happens when the division does not have its own independent status and is dependent on the federation. For example, the Australian Federal Police is the police agency with jurisdiction in Australia’s dependent territories, Jervis Bay Territory, Cocos Islands, Antarctic Territory, and Christmas Island Similarly, the Royal Canadian Mounted Police (RCMP) is a federal agency and is the sole police agency for Canada’s three territories, Northwest Territories, Nunavut, and Yukon. Note that this is a direct jurisdictional responsibility and is different from the situation when a governing body makes arrangements with another governing body's LEA to provide law enforcement for its subjects. This latter type of arrangement is described under Establishment and constitution of law enforcement agencies. In federal polities, actions that violate laws in multiple geographical divisions within the federation are escalated to a federal LEA. In other cases, specific crimes deemed to be serious are escalated. For example, in the United States, the FBI has responsibility for the investigation of all kidnapping cases (regardless of whether it involves the crossing of state lines). In Australia, states liaise directly with each other when non compliance with laws crosses state boundaries. Some countries provide law enforcement on land and in buildings owned or controlled by the federation by using a federal LEA, for example the United States’s Department of Homeland Security is responsible for some aspects of federal property law enforcement. Other countries, for example Australia, provide law enforcement for federal property via federal LEAs and the LEAs for the division of the federation in which the property is located. Typically LEAs working in different jurisdictions which overlap in the type of law non compliance actively establish mechanisms for cooperation and even establish joint operations and joints task forces. Often, members of a LEA working outside of their normal jurisdiction on joint operations or task force are sworn in as special members of the host jurisdiction. A national law enforcement agency is a LEA in a country which does not have divisions capable of making their own laws. A national LEA will have the combined responsibilities that federal LEAs and divisional LEAs would have in a federated country. National LEAs are usually divided into operations areas. A national police agency is a national LEA which also has the typical police responsibilities of social order and public safety as well as national law enforcement responsibilities. Examples of countries with national police agencies are Canada, New Zealand, Italy, France, Japan, Netherlands, Philippines and Nicaragua. To help avoid confusion over jurisdictional responsibility, some federal LEAs explicitly advise that they are not a national law enforcement agency, for example the United States Federal Bureau of Investigation does this. LEAs can be responsible for the enforcement of laws affecting the behaviour of people or the general community, for example the New York City Police Department, or the behaviour of commercial organisations and corporations, for example the Australian Securities and Investments Commission, of for the benefit of the country as a whole, for example the United Kingdom’s Her Majesty's Revenue and Customs. A LEA can be responsible for enforcing secular law or religious law, for example Sharia or Halakha. The significant majority of LEAs around the world are secular, their governing bodies separating religious matters from the governance of their subjects. Religious law enforcement agencies, for example Saudi Arabia’s Mutaween, exist where full separation of government and religious doctrine has not occurred, and are generally referred to as police agencies, typically religious police, because their primary responsibility is for social order within their jurisdiction and the relevant social order being highly codified as laws. Often, a LEA will have a specific internal unit to ensure that the LEA is complying with relevant laws, for example the United States’ Federal Bureau of Investigation's Office of Professional Responsibility. In some countries or divisions within countries, specialised or separate LEAs are established to ensure that other LEAs comply with laws, for example the Australian state New South Wales Independent Commission Against Corruption. LEA internal self compliance units and external LEA compliance agencies coexist in many countries. Names given to LEA internal self compliance units are typically, Internal Affairs, Internal Investigations, Professional Standards. Many law enforcement agencies are police agencies that have a broad range powers and responsibilities. A police agency, however, also often has a range of responsibilities not specifically related to law enforcement. These responsibilities relate to social order and public safety. While this understanding of policing, being more encompassing than just law enforcement has grown with and is commonly understood by society, it is recognised formally by scholars and academics. A police agency’s jurisdiction for social order and public safety will normally be the same as its jurisdiction for law enforcement. The exact usage and meaning of the terms Military, military police, provost, and gendarmerie vary from country to country. 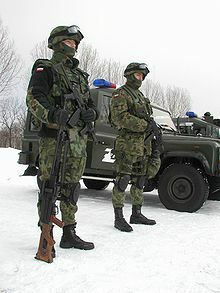 Non-military law enforcement agencies are sometimes referred to as civilian police, but usually only in contexts where they need to be distinguished from military police. However, they may still possess a military structure and protocol. In most countries, the term law enforcement agency when used formally includes agencies other than only police agencies. The term law enforcement agency is often used in the United States of America to refer to police agencies, however, it also includes agencies with peace officer status or agencies which prosecute criminal acts. A county prosecutor or district attorney is considered to be the chief law enforcement officer of a county. Many LEAs have administrative and service responsibilities, often as their major responsibility, as well as their law enforcement responsibilities. This is typical of agencies such as customs or taxation agencies, which provide services and facilities to allow subjects to comply with relevant laws as their primary responsibilities. Private police are law enforcement bodies that are owned or controlled by non-governmental entities. Private police are often utilized in places where public law enforcement is seen as being under-provided. For example, the San Francisco Patrol Special Police, which still exist today. It is argued that Private Law Enforcement may serve as a superior alternative to a government monopoly law enforcement. Many LEAs are also involved in the monitoring or application of regulations and codes of practice. See, for example, Australian Commercial Television Code of Practice, building code, and code enforcement. Monitoring of the application of regulations and codes of practice is not normally considered law enforcement. However, the consistent non-compliance by a subject with regulations or codes of practice may result in the revocation of a licence for the subject to operate, and operating without a licence is typically illegal. Also, the failure to apply codes of practice can impact other subjects’ safety and life, which can also be illegal. Typically a LEA is established and constituted by the governing body it is supporting, and the personnel making up the LEA are from the governing body’s subjects, for example the Australian Federal Police is established and constituted by virtue of the Australian Federal Police Act 1979. By Definition, federal LEAs can only be established by the governing body of the relevant federation, divisional and sub divisional LEAs can only be established by their relevant governing bodies, and national LEAs can only be established by the national governing body of a country. For reasons of either logistical efficiency or policy, some divisions with a country will not establish their own LEAs but will instead make arrangements with another LEA, typically from the same country, to provide law enforcement within the division. For example, the Royal Canadian Mounted Police (RCMP) is a federal agency and is contracted by most of Canada's provinces and many municipalities to police those divisions, even though law enforcement in Canada is constitutionally a divisional responsibility. This arrangement has been achieved by formal agreement between those divisions and the RCMP and reduces the number of agencies policing the same geographical area. Similarly, the Australian Federal Police (AFP) is a federal agency and is the contracted police agency for the Australian Capital Territory. and Norfolk Island. In circumstances where a country or division within a country is not able to establish stable or effective LEAs, typically police agencies, the country might invite other countries to provide personnel, experience, and organisational structure to constitute a LEA, for example the Regional Assistance Mission to the Solomon Islands which has a Participating Police Force working in conjunction with the Solomon Islands Police Force, or where the United Nations is already providing an administrative support capability within the country, the United Nations may directly establish and constitute a LEA on behalf of the country, for example for Timor-Leste from 1999 to 2002. These powers are not available to subjects other than LEAs within the LEA's jurisdiction and are typically subject to judicial and civil overview. Usually, these powers are only allowed when it can be shown that a subject is probably already not complying with a law. For example, to undertake an intrusive search, typically a LEA must make an argument and convince a judicial officer of the need to undertake the intrusive search on the basis that it will help detect or prove non-compliance with a law by a specified subject. The judicial officer, if they agree, will then issue a legal instrument, typically called a Search warrant, to the LEA, which must be presented to the relevant subject if possible. Subjects who do not comply with laws will usually seek to avoid detection by a LEA. When required, in order for the LEA to detect and investigate subjects not complying with laws, the LEA must be able to undertake its activities secretly from the non complying subject. This, however, may require the LEA to explicitly not comply with a law other subjects must comply with. To allow the LEA to operate and comply with the law, it is given lawful exemption to undertake secret activities. Secret activities by a LEA are often referred to as covert operations. to typically collect information about and evidence of non compliance with a law and identify other non complying subjects. Lawful deception and utilisation of law exemption by a LEA is typically subject to very strong judicial or open civil overview. For example, the Australian Federal Police's controlled operations are subject to open civil review by its governing body, the Parliament of Australia. Law enforcement agencies have other exemptions from laws to allow them to operate in a practical way. For example, many jurisdictions have laws which forbid animals from entering certain areas for health and safety reasons. LEAs are typically exempted from these laws to allow dogs to be used for search and rescue, drug search, explosives search, chase and arrest, etc. This type of exemption is not unique to LEAs. Sight assist dogs are also typically exempted from access restrictions. Members of LEAs may be permitted to openly display firearms in places where this is typically prohibited to civilians, violate various traffic laws when responding to crimes, or detain persons against their will to investigate suspected crimes. Interpol is an international organisation and is essentially stateless, but must operate from some physical location. Interpol is protected from certain laws of the country where it is physically located. Because the enforcement of laws has, by definition, a major impact on the society the laws apply to, the agencies which enforce the laws have a specific relevance to the societies in which they operate. A small number of LEAs, particularly secret police forces which are unaccountable or have unrestricted powers, are not generally respected by their governing bodies’ subjects, due to the negative impact they have on the subjects. Many fictional LEAs have been created in popular media and literature. See for example List of fictional secret police and intelligence organizations and List of fictional police forces. ^ "Australian Federal Police Investigation Services". Australian Federal Police. Retrieved 2008-02-01. ^ "Australian Federal Police Case Categorisation and Prioritisation Model". Australian Federal Police. Retrieved 2008-02-01. ^ "Interpol Constitution Article 3". Interpol. Archived from the original on 2008-02-24. Retrieved 2008-01-31. ^ "Annex 11 of the Dayton/Paris Agreement". NATO. Retrieved 2008-02-07. ^ "Establishment of EUPM personnel by country" (PDF). European Union Police Mission in Bosnia and Herzegovina. Archived from the original (PDF) on 2006-05-12. Retrieved 2008-02-07. ^ "Interpol member countries". Interpol. Retrieved 2008-02-07. ^ a b "Metropolitan Police Local Information". Metropolitan Police. Retrieved 2008-02-04. ^ "Federal Bureau of Investigation Your Local FBI Office". Federal Bureau of Investigation. Archived from the original on 2009-08-15. Retrieved 2008-02-04. ^ "State and Regional AFP Offices". Australian Federal Police. Retrieved 2008-02-05. ^ "New York Police Department Precincts". New York Police Department. Retrieved 2008-02-04. ^ "Protective Service". Australian Federal Police. Retrieved 2008-02-05. ^ "United States Secret Service Protective Mission". United States Secret Service. Archived from the original on 2002-08-06. Retrieved 2008-02-05. ^ "Australian Federal Police Act". Parliament of Australia. Retrieved 2008-02-05. ^ "Jervis Bay Governance and Administration". Australian Government Attorney General’s Department. Retrieved 2008-02-05. ^ "Cocos Islands Governance and Administration". Australian Government Attorney General’s Department. Archived from the original on 2008-02-12. Retrieved 2008-02-05. ^ "Christmas Island Governance and Administration". Australian Government Attorney General’s Department. Retrieved 2008-02-05. ^ "Policing in the Territories" (PDF). Government of Yukon Department of Justice. Archived from the original (PDF) on 2008-02-28. Retrieved 2008-02-05. ^ "United States Code Title 40 Subtitle I Chapter 13 Section 1315". United States Congress. Retrieved 2008-02-05. ^ "Bills Digest No 152 2001-02 – Australian Protective Service Amendment Bill 2002". Parliament of Australia. Retrieved 2008-02-05. ^ a b "Federal Bureau of Investigation About Us Frequently Asked Questions". Federal Bureau of Investigation. Retrieved 2008-02-05. ^ "ACT Policing – Media Release – Joint Drug Operation a Success" (PDF). Australian Federal Police. Retrieved 2008-02-05. ^ "Airport Security – Joint Airport Teams". Australian Federal Police. Retrieved 2008-02-05. ^ "Referring Matters to the AFP – Information Required". Australian Federal Police. Retrieved 2008-02-05. ^ "Internal Investigations". Federal Bureau of Investigation. Archived from the original on January 9, 2008. Retrieved 2008-02-12. ^ "Borough Support Management Information Main Report – March 2007" (PDF). Metropolitan Police Service. Archived from the original (PDF) on 2008-02-28. Retrieved 2008-02-12. ^ "About the AFP – Feedback and Complaints". Australian Federal Police. Retrieved 2008-02-12. ^ "NYPD Frequently Asked Questions". New York Police Department. Retrieved 2008-02-12. ^ a b Cole, George F.; Smith, Christopher E. (2004). The American System of Criminal Justice. Wadsworth/Thomson Learning. ^ Stringham, Edward (2007). Anarchy and the Law: The Political Economy of Choice. Transaction Publishers for The Independent Institute. ISBN 978-1-41280-579-7. Retrieved 8 January 2015. ^ "Austlii.edu.au". Austlii.edu.au. Retrieved 2011-12-06. ^ "Organization of the RCMP". Royal Canadian Mounted Police. Archived from the original on June 11, 2007. Retrieved 2008-02-05. ^ "ACT Policing". Australian Federal Police. Archived from the original on 2010-01-27. Retrieved 2008-02-05. ^ "Norfolk Island Policing". Norfolk Island Government. Archived from the original on 2007-11-24. Retrieved 2008-02-05. ^ "RAMSI's Program Areas: Law and Justice". Regional Assistance Mission to the Solomon Islands. Archived from the original on August 2, 2007. Retrieved 2008-02-05. ^ "United Nations Transitional Administration in East Timor (UNTAET)". United Nations. Retrieved 2008-01-31. ^ "US Government Printing Office - FDsys - Browse Publications". ^ "TELECOMMUNICATIONS (INTERCEPTION AND ACCESS) ACT 1979". ^ "SURVEILLANCE DEVICES ACT 2004". ^ "Controlled Operations Annual Report 2006-07" (PDF). Australian Federal Police. Archived from the original (PDF) on 2009-05-19. Retrieved 2008-02-04. ^ "Controlled Operations Inspections Report 2005-06". Commonwealth Ombudsman. Archived from the original on December 4, 2008. Retrieved 2008-02-05. ^ "Australian Federal Police Act 1979". Parliament of Australia. Retrieved 2008-02-05. ^ "Interpol Headquarters Agreement". Interpol. Archived from the original on 2001-12-11. Retrieved 2008-02-01. Look up law enforcement agency in Wiktionary, the free dictionary. Wikimedia Commons has media related to Law enforcement agencies.